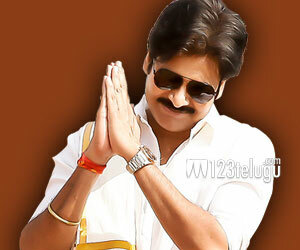 What will Pawan Kalyan say in mid March? Something big seems to be going on in Pawan Kalyan’s camp right now. Yesterday, there was intense speculation about Pawan’s impending political entry and reports emerged about a possible launch of a new political party. Interestingly, a press note was released by Pawan Kalyan’s office later in the night. In this press note, Pawan Kalyan denied reports of a rift between Chiranjeevi and himself. However, he did not seek to deny or address the political rumours floating around. Rather interestingly, he announced that a press meet would be held in the second week of March, where these things would be addressed. What exactly will Pawan say. Let us look at the circumstances now. The elections are about to take place in May. Pawan Kalyan will not be participating in any film shoot till the end of May. He did not deny any reports about his political aspirations. If you connect the dots, the answer seems to be pretty obvious. The only question now is this. Will he really launch an all new party? Or will he simply contest the elections as an independent candidate? Or will he join an existing political outfit? The second week of March is coming up very soon, so let us wait and watch.